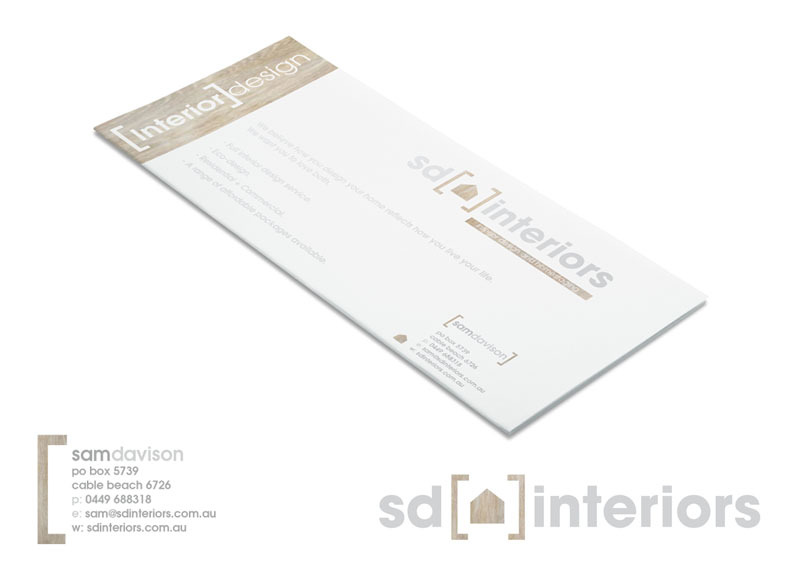 Sam Davison approached Dan wanting to set up an interior design consultancy in Broome, Western Australia. Designing for designers requires an approach that is structured and managed carefully. With several creative minds in the mix, it is smart to make a plan from the outset to define objectives, create timelines and control the process in order to stay on track. When presenting ideas we make sure that each logo is carefully designed and aligned with the brand strategy. It is important to visually represent the message the brand wishes to portray. Sam brought good ideas to the table and this made it simple to design a winning logo that reflected her brand, personality and vision of the type of work she wanted to come through her door. 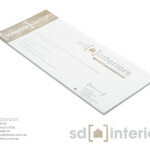 We printed Sam’s business cards and rack cards on a 350gsm luxury finish card with a spot UV finish of the logo on white to give her marketing material an extra touch of class.